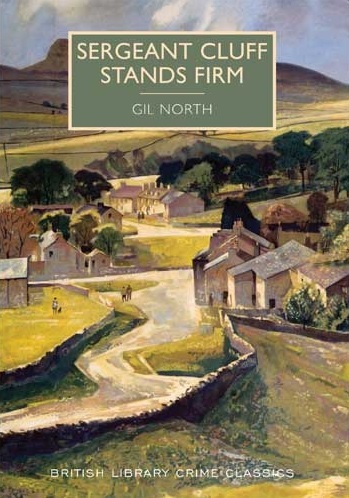 Sergeant Caleb Cluff is a native of the Yorkshire town of Gunnarshaw, a man of values and principles, and a man who, more often than not, stands alone. Amy Snowden is another long term Gunnarshawian, who, a few months after marrying a young man, apparently takes her own life. Her husband promptly disappears, but there seems to be little doubt that it was suicide, especially in the mind of Cluff’s superior officer. But Cluff is a determined man. Convinced that the husband was responsible for Amy’s death, even if it wasn’t by his hand, he is determined to bring him to justice – no matter what it takes. A diversion for the British Library range, as we jump out of the Golden Age – I think the latest title to date is Death On The Riviera from 1952 – into 1960 for the first of the eleven tales featuring Cluff, who rapidly went on to become a television series (called Cluff) starring Leslie Sands. But since the original release, this series of books seems to have disappeared into obscurity. Oddly, while there are only a handful of copies available of the original runs on Abebooks, they all seem to be pretty cheap. It’s an interesting book, although it should be pointed out that it’s not really a mystery. It’s more about the Terminator-like Cluff stalking the husband until the husband cracks and bad things happen. There’s more to it than that – there are a small group of central characters that are nicely developed – and how the tale develops in the second half of the book isn’t something I’ll discuss in my spoiler-free review, but it’s worth taking a look at. The most common comparison is with Simenon’s Maigret, although Martin Edwards, in his introduction, also compares the series to Alan Hunter’s George Gently and W J Burley’s Wycliffe, all of which took Maigret as their inspiration. It’s a quick read – less than 200 pages – so it doesn’t waste time padding things out (apart from the author’s obsession with describing how events are affecting the female characters’ breasts at every opportunity). It might well be a bit of a risk for the British Library, as it is a distinct change from the usual whodunits, but even so, it’s Well Worth A Look. Previous Competition Time – Name Your Prize!